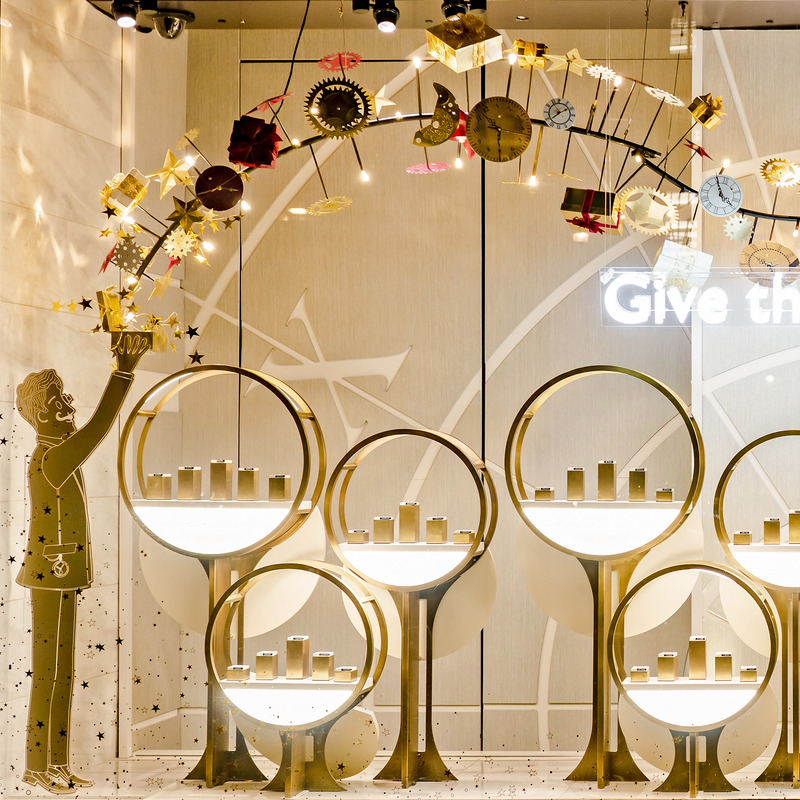 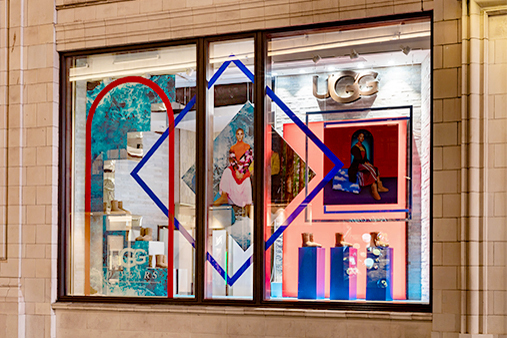 UGG® approached Prop Studios to design and create six window schemes across UK and France, launching their global anniversary campaign ‘UGG: 40 Years’. 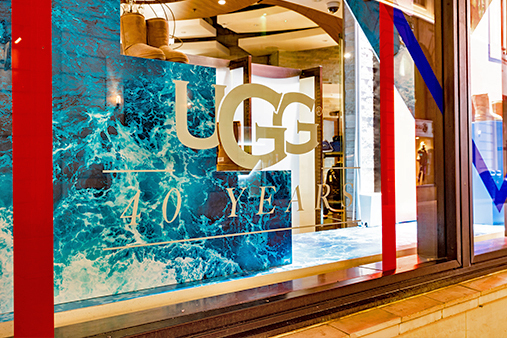 Celebrating their deep-rooted California heritage, UGG® paired two popular fashion icons, Heron Preston and Adwoa Aboah, whose bold and fiercely individual ideals represent the next generation of UGG®. 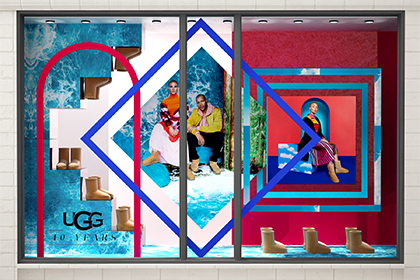 The window design looked at bringing the campaign to life; celebrating the bold, unapologetic individuality of UGG®. 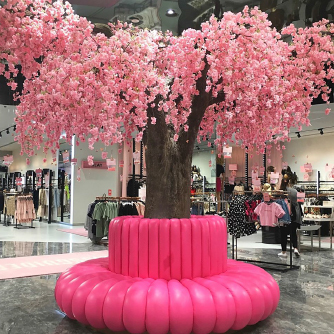 The brand loved the concept so much, we developed the design into scaled versions to be used across wholesale activations, pop ups and table risers globally. 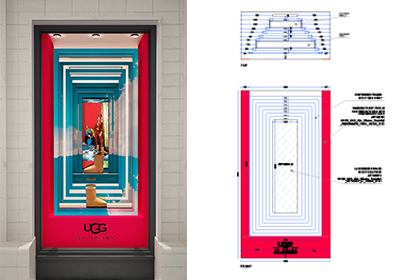 The design focused on playing with illusion and depth, while keeping a bold graphical approach inspired by UGG® 40th Anniversary campaign. 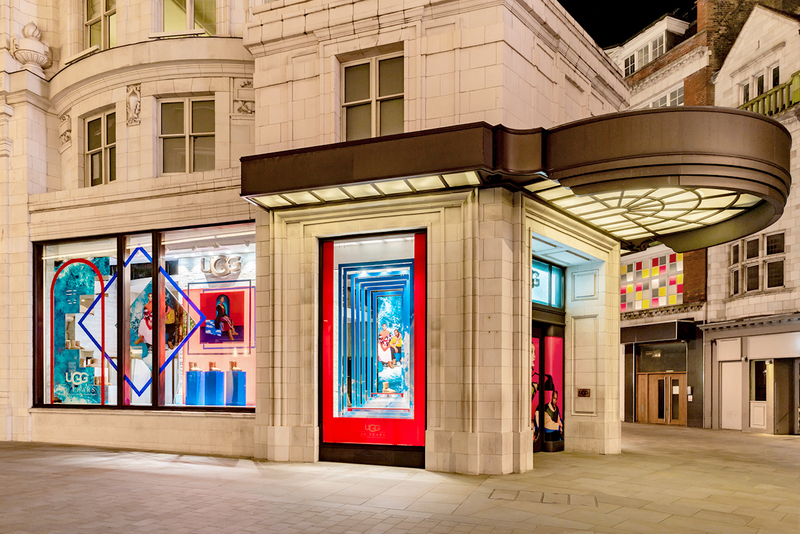 The two high-impact faces were the key window visuals – wearing the limited-edition collection. 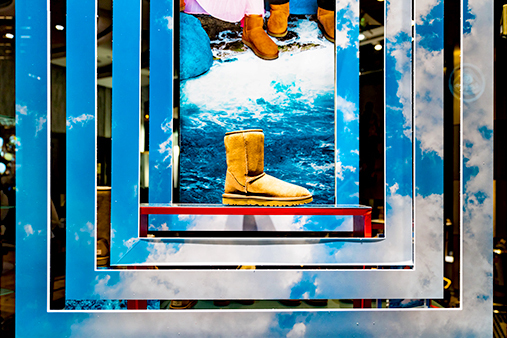 As an iconic California location, Big Sur’s striking coastline served as the textured background in the primary window scheme while a sky print was used for the secondary window. 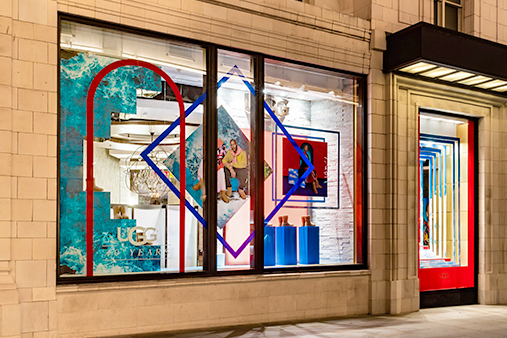 Prop Studios designed the window around bold graphical shapes to put emphasis on its diﬀerent sections. Its symmetries and asymmetries create dynamic compositions. 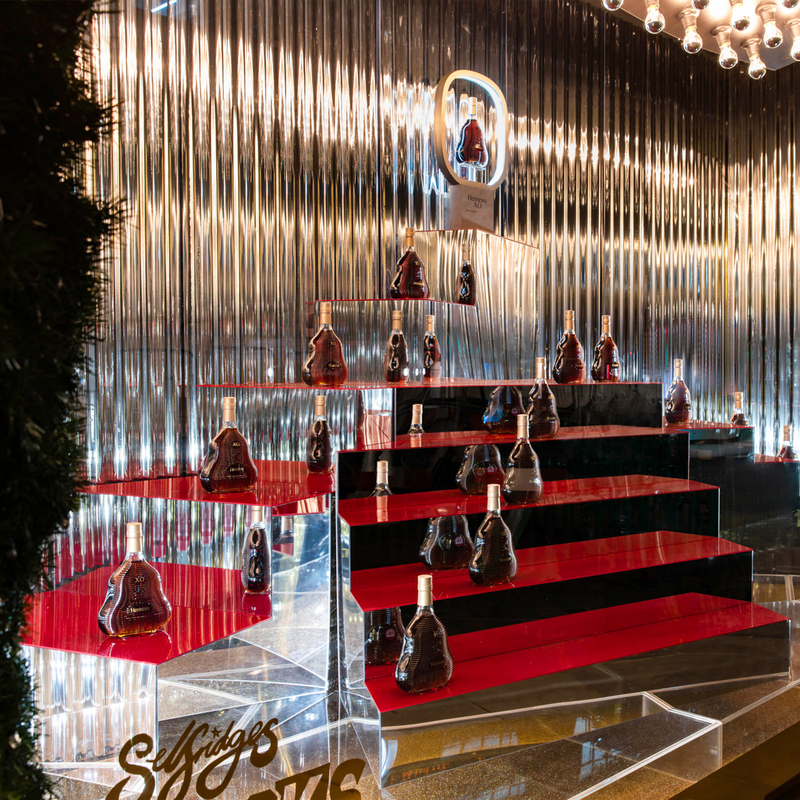 Stepped plinths with reﬂective tops are mirrored and allow for unexpected product display. 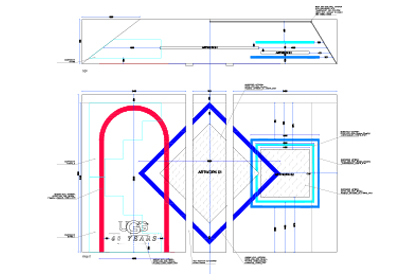 Use of ﬂoating frames and vinyl created illusion of depth and play with form. 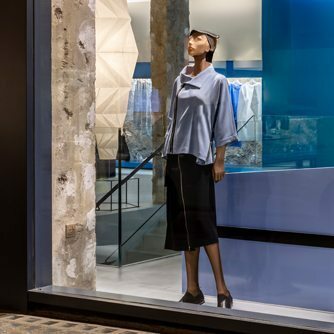 The secondary window focuses on the illusion of depth and gloriﬁcation of products, using various sized frames and mirrors. 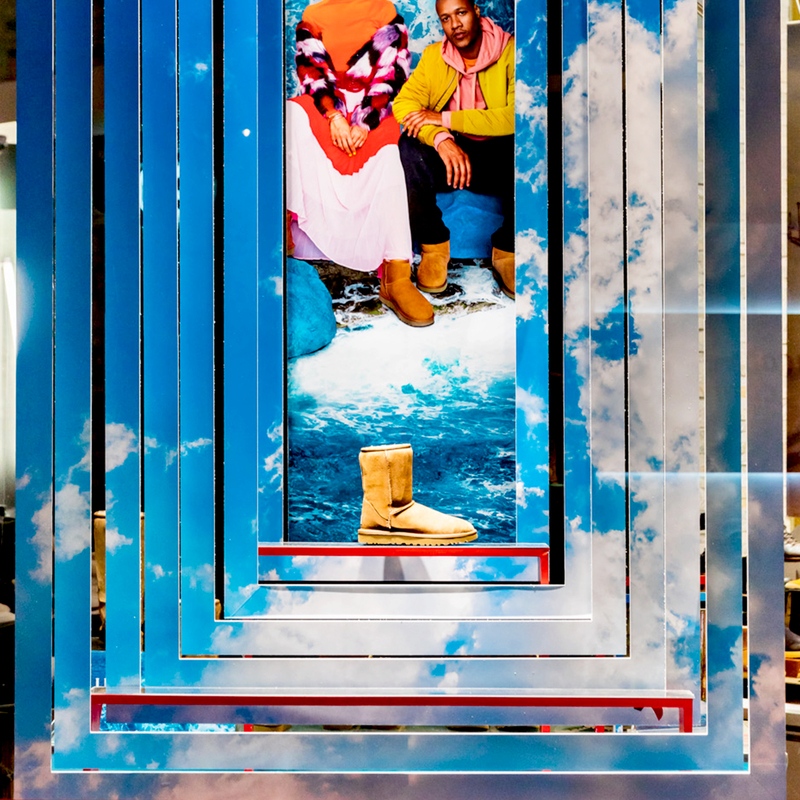 Sky print and reﬂective ﬂoating podiums created an illusion of products ﬂoating in the air.